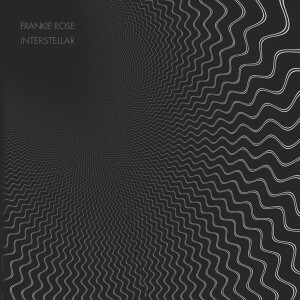 For her second solo album, this one without the Outs, Frankie Rose seems to be reintroducing herself to the world. No longer just a musician who’s played with Crystal Stilts and various Girls (Vivian, Dum Dum), but having picked up a few things from her experience, Rose is stepping out with the grandiose, ‘80s-referencing Interstellar. From “Had We Had It,” which sounds like it descended from the heavens, to the self-titled track, which references other galaxies in both name and sound, Rose is clearly shedding her garage-rock past for something more delicate, something more emotionally open. There are hints of her reverb-drenched past, such as the big, hip-shaking “Know Me,” but for the most part, she seems desirous of reinvention. “I knew I wanted a HUGE sounding record,” she says in a statement. “Big highs, big lows, and clean. There is no fuzz on this record. I knew I wanted to make a streamlined, spacious record with big choruses that sometimes referenced ‘80s pop.” She’s done just that, leaving her self room to grow as well. That’ll be the truly fun part.